This Project Book is a compendium of project’s deliverables. One of the very best achievements of our Project is fully established and accredited joint master programme “International and European Law” which we are all proud of. Due to different national legislations in Russian Federation and Ukraine, the consortium has established two master programs – one for Russian co-benefi ciaries and one for Ukrainian co-benefi ciaries. Nevertheless, two master programs are complementary and include basic syllabuses, which are adapted to contemporary labor-market needs in two countries. The essential guidelines in preparation of two programmes have been integration of very best Bologna standards into the programme. Student-centered approach incorporating learning outcomes, preparation of didactical manuals, glossary of legal terminology, introduction to searching databases, preparation of handbook and two textbooks, advance courses and practice-oriented workshops, organization of several guest lectures and conferences have contributed to successful implementation, accreditation and - last but not the least - enrolment of the best students in the master programme “International and European Law”. 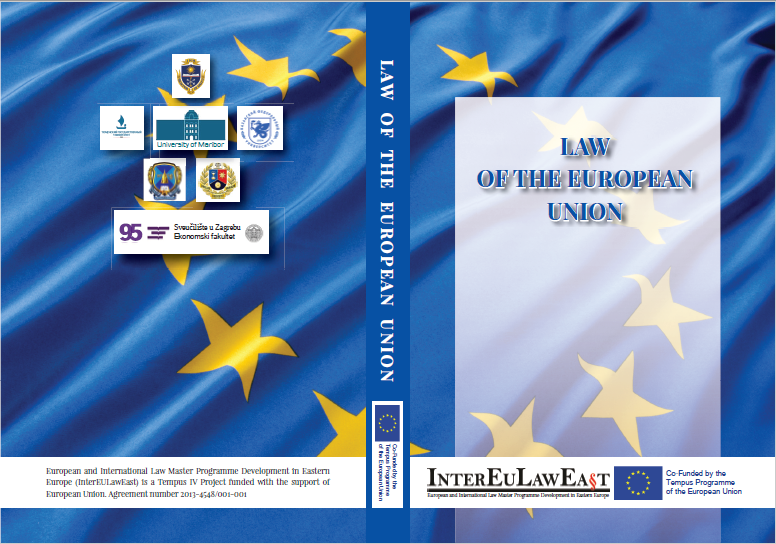 Law of the European Union: a Textbook for Master Students / ed. P. Biriukov and V. Tuliakov. - Voronezh: VSU Publishing House, 2016. - 476 p.
This Textbook makes an integral part of the TEMPUS InterEULawEast project No. 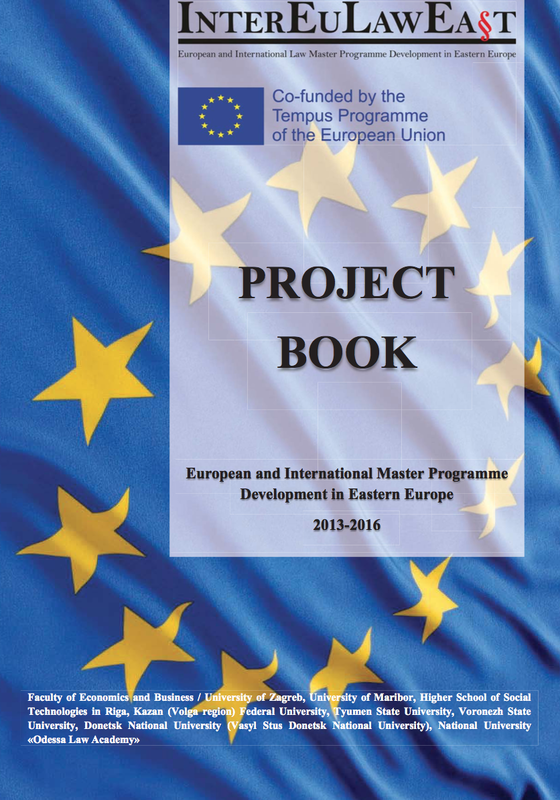 544117 funded by the European Union aiming at ensuring the sustainability and visibility of the project after its completion. Documents are issued as of Januaiy 1, 2016. It is written for teachers and students of law schools and faculties, law enforcement officials. 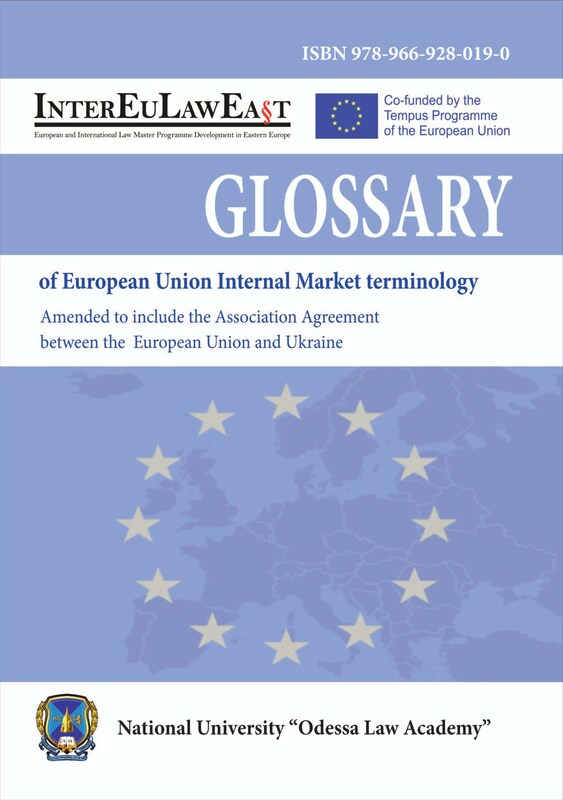 a scientific review that publishes papers in the field of law and economics with an international focus, in particular papers issuing: legal and economic aspects of European Union and other market integrations, market freedoms and restrictions, competition law and intellectual property, company law and corporate governance, international trade, international private and public law. The purpose of the review is to: promote scientific research activities in these fields, create high-quality base for further study of the above mentioned areas especially for students and young scientists, encourage cross-border business activities and cooperation, introduce the wider public with the rules and opportunities of doing business in the EU, achieve long-term scientific contribution in the field of European and international law and economics. The journal was established in the 2014 within the Tempus project European and International Law Master Program Development in Eastern Europe No. . 544117 - TEMPUS -1-2013-1- EN - TEMPUS – JPCR. However the intention of the publisher and the editorial board is to continue publishing the review even after the project and thus to achieve long-term scientific contribution. Scientific areas: Social sciences; Economics; Law.